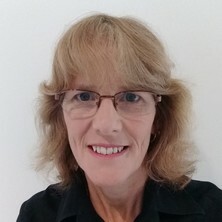 Maureen Hassall is an Associate Professor at the University of Queensland and director of UQ R!SK, a leading-edge, multidisciplinary initiative that crosses the fields of industrial risk and human factors. Maureen works collaboratively with a broad range of safety critical industries to develop better human-centred risk management approaches that improve companies’ operational performance and competitiveness. Her industry-focused research is motivated by 18 years of industry experience working in a number of different countries and in a variety of roles including specialist engineering, line management, organisational change and business performance improvement roles. Maureen also develops and delivers risk management and human factors training, education and advice to undergraduate and postgraduate students and well as directly to industry. In addition she supervises Masters and PhD candidates undertaking industry focused human factors and operational risk related research. Creating whole-of-systems risk management approaches that identify, integrate and show the interactions between the range of comtemporary and future risks that can impact the operational competitiveness of an organisation. Developing evidence-based data analytics that produces and communicates intelligence to facilitate proactive and effective management and governance of operational risks in high hazard industries. Developing and applying innovative, impactful and user-centred approaches that improve the design of work systems to better support industry practitioners decision making processes so they more effectively and successfully manage high hazard and safety critical systems. Developing and testing innovations in technological and analytical systems-based approaches that integrate inherently safe design, process safety and operational resilience philosophies to improve inherent safety and integrity of processing systems and the management of catastrophic risks. Can the decision ladder framework help inform industry risk assessment processes? Lee, John E., Hassall, Maureen E. and Cameron, Ian T. (2018). The use of dynamic simulation to improve process safety. In: Chemeca, Queenstown, New Zealand, (). 30 September-3 October 2018. Hassall, Maureen (2017). Critical control management - The latest on leading practice and lessons learned. In: Minesafe International 2017, Perth Convention and Exhibition Centre, Perth, Western Australia, (). 1-2 May 2017. Addressing tyre risks with critical control management - a collaborative industry project. Hassall, Maureen and Boyle, Michael (2016). Addressing tyre risks with critical control management - a collaborative industry project.. In: Queensland Mining Industry Health and Safety Conference, Gold Coast, Australia, (). 14-16 August 2016. Hassall, Maureen (2016). Human factors of critical risk controls. In: Healthy, Safe and Productive By Design. 51st Annual Conference of the Human Factors and Ergonomics Society of Australia 2016: Healthy, Safe and Productive By Design, Gold Coast, QLD, Australia, (118-126). 6-9 November 2016. West, Camilla, Hassall, Maureen, Kenway, Steven and Yuan, Zhiguo (2016). Integrative risk assessment and management for recycled water schemes: An Australian study. In: Proceedings of the 6th International Disaster and Risk Conference: Integrative Risk Management - Towards Resilient Cities, IDRC Davos 2016. 6th International Disaster and Risk Conference: Integrative Risk Management - Towards Resilient Cities, IDRC Davos 2016, Davos, Switzerland, (633-636). August 28 - September 1 2016. Hassall, Maureen E. and Frost, Brendon (2016). Which Path to Human Performance Improvement? Choosing Human Factors Interventions that Improve Safety in Tough Times. In: Hazards Australasia 2016, Melbourne, Australia, (). 23-24 December 2016. Hassall, Maureen (2015). Improving human control of hazards in industry. In: Gitte Lindgaard and Dave Moore, Proceedings 19th Triennial Congress of the IEA. 19th Triennial Congress of the IEA, Melbourne, VIC, Australia, (459.1-459.8). 9-14 August 2015. Methods and tools to help process operators identify and manage hazardous situations. Hassall, Maureen (2013). Methods and tools to help process operators identify and manage hazardous situations. PhD Thesis, School of Chemical Engineering, The University of Queensland.